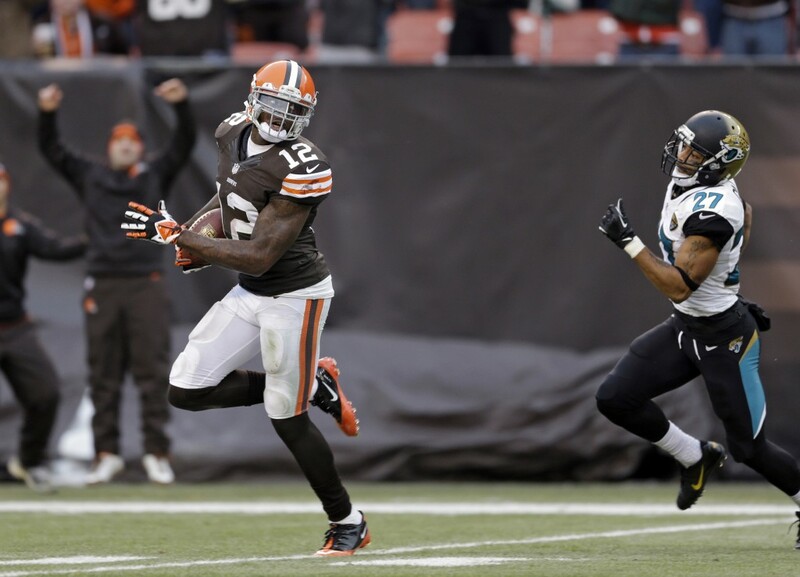 Over the last month, the previously below-the-radar Josh Gordon has sprinted his way into the NFL record books. FOXBOROUGH, Mass. 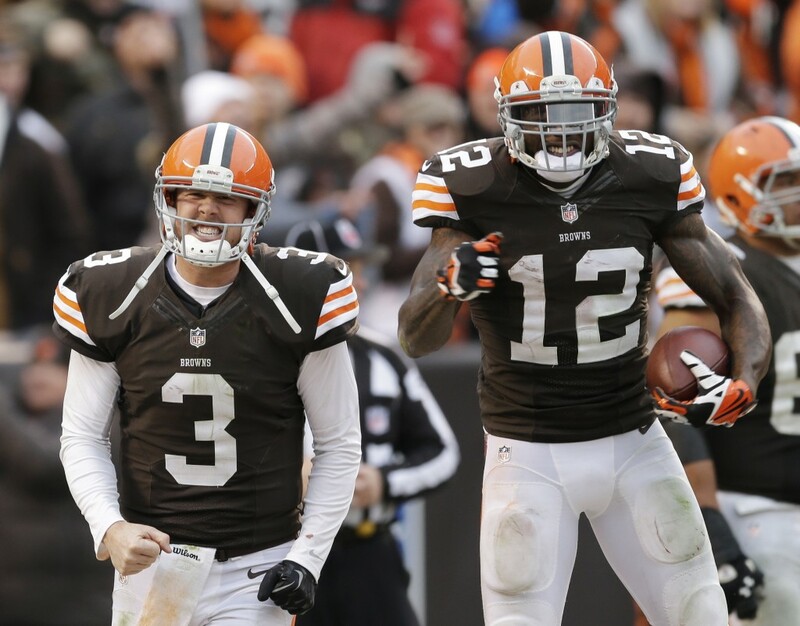 — Cleveland’s Josh Gordon may just be the best wide receiver in the NFL not named Johnson. New England cornerback Aqib Talib certainly thinks so. Over the last month, Gordon has sprinted his way into the NFL record books, quickly blossoming into one of the most-feared threats in the game. The 6-foot-3, 225-pound second-year product from Baylor last week became the first player in NFL history to top 200 yards receiving in consecutive games, following his 14-catch, 237-yard performance with 10 receptions for 261 yards and two touchdowns in a loss to Jacksonville. His 498 yards receiving over the past two games is the new league standard, surpassing all of the well-known Johnsons — Calvin (484 yards in 2013), Andre (461 in 2012) and Chad (450 in 2006). Gordon’s 1,249 yards receiving rank third in the NFL behind only Calvin Johnson (1,299) and Andre Johnson (1,277), who had 154 yards against Jacksonville on Thursday night to pass Gordon. The 22-year-old still leads the league in yards per game (124.9) and per catch (19.5), and already has scored seven touchdowns, five coming in his last five games — including a 95-yarder Sunday on which he hauled in an 18-yard pass before outrunning defenders the rest of the way. That play accounted for just one of his league-leading 22 receptions that have gone for 20 or more yards, and a large chunk of his 517 yards after the catch, third-best in the league. And all of that has come in just 10 games, as he was suspended for the first two for violating the NFL’s substance-abuse policy. While the last five games have vaulted Gordon into the upper echelon of wide receivers — he’s averaging more than seven catches and nearly 160 yards a game — New England coach Bill Belichick isn’t surprised. He’s seen Gordon’s big-play potential all season. “The plays he’s made the last couple weeks are the same plays he’s made all year,” Belichick said. “He can attack all three levels of the defense. He can run through them, he can take the short plays, catch-and-run plays, crossing patterns, look patterns, plays like that, quick three-step drops and break tackles. Gordon will try to keep it up against a Patriots defense that is surrendering just 224 yards passing per game, and has allowed just three players to pass 100 yards receiving this season. The last one to do it?